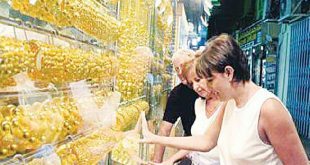 KUWAIT CITY, April 23: Kalyan Jewellers, one of the most trusted and leading jewellery brands in the GCC and India has announced that it will relocate the existing store in Fahaheel to Makah street. The new showroom located in Al Khiyateen Complex, Makah Street, Fahaheel will be inaugurated on April 26, by the Baadshah of Bollywood, Shahrukh Khan. The launch of the new Kalyan Jewellers showroom is scheduled for 5:30 pm on April 26, 2018 at Al Khiyateen Complex, Makah Street, Fahaheel. The showroom will have an exclusive section displaying Kalyan’s new brand Muhurat, the wedding collection by Kalyan that features hand-picked bridal jewellery from across India. Customers will also see popular house brands such as Ameera — the Arabic Collection, Ziah — an exquisite range of diamond jewellery, Glo — Dancing diamonds, Anokhi – uncut diamonds, Apoorva – diamonds for special occasions, Antara – wedding Diamonds and Hera – daily wear diamonds and Rang – precious stones jewellery. Shoppers at Kalyan Jewellers will also be able to avail the festive offer that guarantees shoppers free gifts and a chance to win 25 Mercedes Benz with every purchase of gold, diamond and precious stone jewellery.